BEIRUT (Reuters) – Iran's Supreme Leader, Ayatollah Ali Khamenei, threatened on Tuesday to "set fire" to the nuclear deal sealed with world powers if U.S. presidential candidates reneged on the agreement. Presumptive Republican candidate Donald Trump said last August it would be hard to "rip up" the deal, but if elected president he would "police that contract so tough they don't have a chance". "The Islamic Republic won't be the first to violate the nuclear deal. 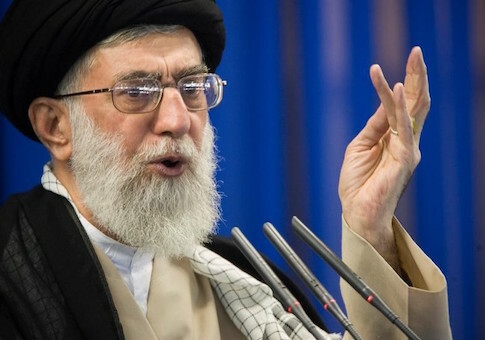 Staying faithful to a promise is a Koranic order," Khamenei said, according to state media. "But if the threat from the American presidential candidates to tear up the deal becomes operational then the Islamic Republic will set fire to the deal." The United States and Europe lifted sanctions on Tehran in January under the deal that curbed Iran's nuclear program. However, some restrictions remain, including on financial transactions, slowing Iranian hopes to reintegrate with world markets. "The nuclear deal has holes which, if they were closed, would reduce or cancel its disadvantages," he said. He added: "Some think that we can get along with the Americans and solve our problems. This is an incorrect idea and a delusion." Earlier, Iran's foreign minister, Mohammad Javad Zarif, urged the United States to do more to encourage banks to do business with Iran. This entry was posted in National Security and tagged Ali Khamenei, Iran, Iran Nuclear Deal. Bookmark the permalink.